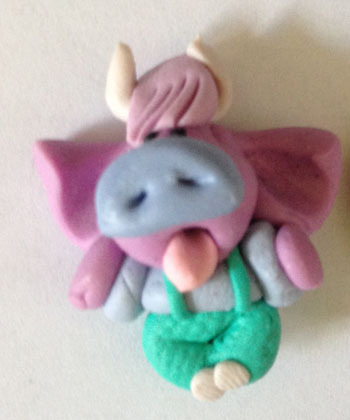 Fimo purple cow in a blouse and pants with suspenders. There is a pin on the back for attaching to your garment. 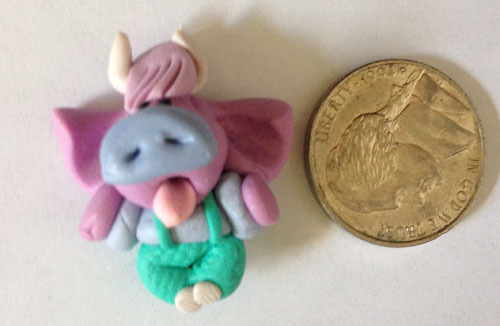 The second picture shows a nickle for size comparison.